Welcome Announcement - Alexis & Joe! Happy February! Just a quick post to welcome my newest clients to the fold - ALEXIS & JOE! After checking out my vendor listing and spotlight on Offbeat Bride, Alexis wrote to me a few weeks ago, and after a lively 90-minute FaceTime chat, I just knew we were on the same page. Their story began at Billymark’s here in NYC (who doesn’t love a love story that begins at a dive bar? ), and saw stints in LA and DC, before they made their home in Philadelphia. 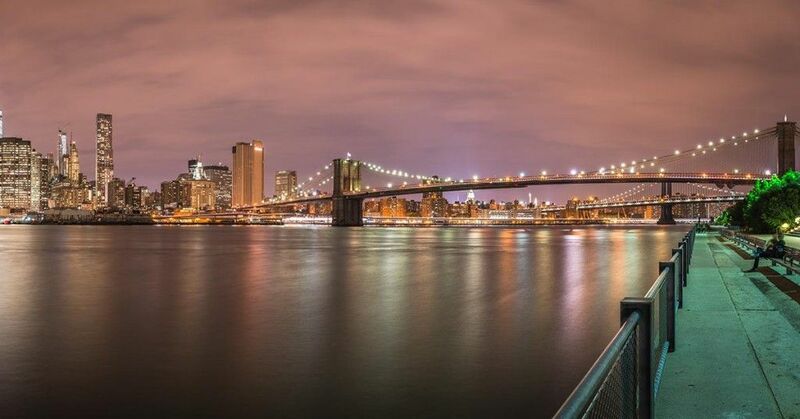 Both are from the New York area (Long Island and Jersey), and though Joe popped the question last October on the Brooklyn promenade (check out this view - who could ever say no to a proposal with this backdrop? ), they’ll say “I Do” in the heart of Philly. I'm honored to join the team as their coordinator for their September 2017 wedding at Bartram’s Garden, minutes from Center City. Let's do this!